Yes, I understand that I live in Southern California and that according to the rest of the country (except Hawai’i) we don’t know what cold is. But it has been cold here! As I am typing right now, the outside temperature is 42 degrees; that’s cold! This is made all the worse by the fact that our heater is out so it is freezing in our house as well. I am literally sitting at my desk right now wearing pants, long tube socks, a long sleeve shirt, a thick robe and a Snuggie and I’m still cold! 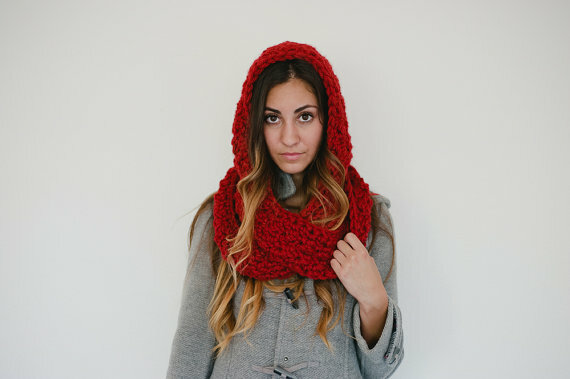 Red: I absolutely LOVE chunky cowls! I bought (yes, bought, not made) a couple of cowls for a trip to NYC that my sister and I took last fall and they saved my life. I affectionately call all cowls Simon Cowl. Orange: I knitted an ear warmer similar to this a couple of months ago and I really wish that I could find it now. I love the yarn hue and buttons that were selected; perfect execution. 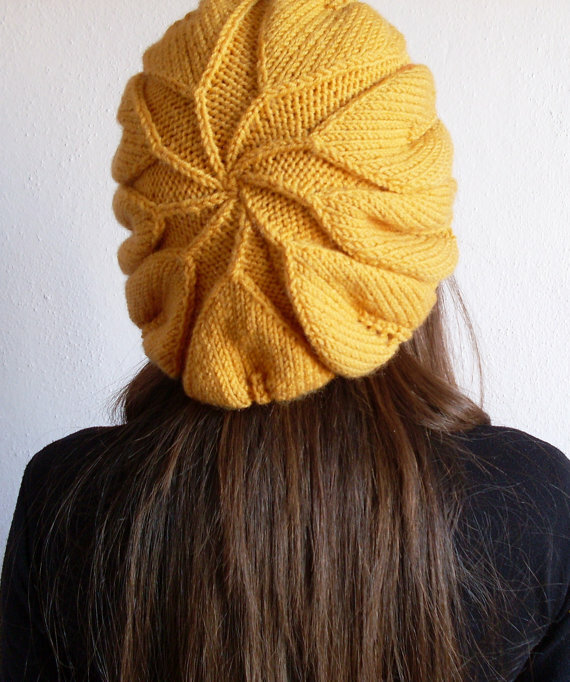 Yellow: With my limited knitting (and non-existent crochet) knowledge, I am always in awe of designs such as this beanie. It almost looks like large hearts around the brim, so cute! Green: If I had to chose a favorite from this list, then these little green mittens would be it! I highly doubt that I would be able to function very well without the use of my fingers, but this pair of mittens are so cute that I’d be willing to be unproductive. 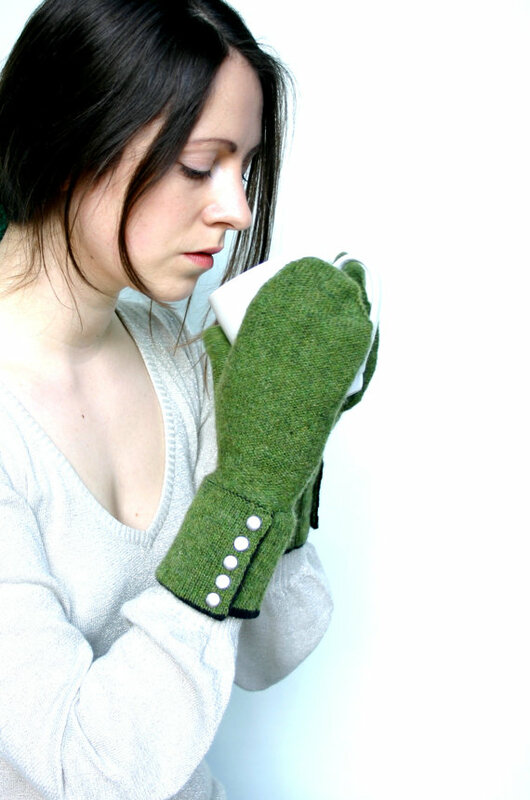 It would only be an added bonus if the mittens came with that warm mug of tea that the model is holding! Blue: If hand warmth + functionality is what I’m looking for then these blue fingerless gloves would seem to be the logical choice. Look at that pattern detail, this designer has some serious skill! If I were to tackle a project like this, it would no doubt end in a tangled skein of yarn and a very frustrated me. Indigo: First off, not a fan of the pompoms hanging off the legwarmers. For some reason pompoms always remind me of these hair ties that I wore as a kindergartener in the 80s. 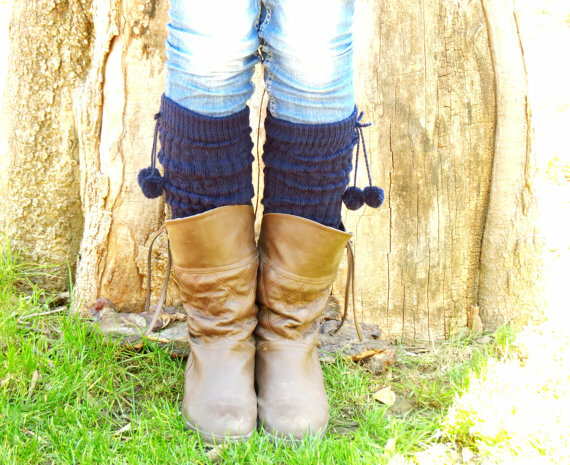 But if these bad boys could keep my legs warm right about now, I’d gladly don the pompoms (or cut them off). I could visualize my cat swinging at them, thinking that they were his new toy. Violet:This 1960s vintage coat hails from Latvia, a land that knows cold, so you can bet your bottom dollar that this coat will keep you warm. This hue is sure to stand out among the traditional sea of tan, grey, and black coats that are normally seen during winter months. Inspired to get bundled now? Go forth and stay warm!